I know that helping people in a crisis is very moving and makes us feel like we are trying to be at peace on a global scale ...If something like this happened in the Middle east Im not sure the reaction would be the same. JUST LIKE ART,Humanity and Empathy is universal as we were all created the same .Radicals and power freaks make war and create division. The Bible says let there be no division among you..We are all human and I feel for the tattooers there that have been hurt by this. Is there a way to help our brother native tattoo artists and not just donate to a organization that has to use some of the proceeds to pay themselves or workers,distributors and the likes....I hope people can stop creating war and let us all enjoy what gift we have here on earth. I am amazed at the response on this group to help Japan from Tattooers in the world..
http://www.facebook.com/#!/home.php?sk=group_105261376221575&ap=1and Im sure it helps some but mainly I hope it will teach us about caring for one another...Money spent on war can be used to help things like this and the sick,hungry and poor. I was thinking of going a full month and all tattoos that are japanese influenced ,use a percentage of that for a month and donate it to artists there that might need it personally. So any Tattoo Studios in Japan that have been destroyed can you please let me know? 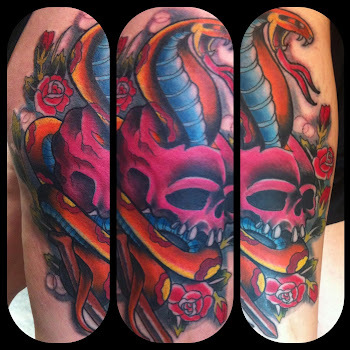 Post this site on your wall and in other tattoo related forums and boards.. 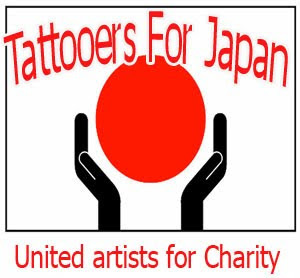 Here is the facebook group to help Japan from Tattooers in the world..